The most common reason people like you seek me our for career guidance, planning and consulting in St Cloud, MN, is to gain confidence when choosing a new career. I'll look forward to hearing about your background, career possibilities and ideas of how you might move towards your new career. You may also ask us about the services that could benefit you most in achieving your goals as well as their costs. These discussions include exploring your innate preferences, unique abilities, and career aspirations. We do this through reliable and valid assessments as well as having a detailed career guidance exploration. Please call or email if you wish to schedule a time for your short initial complimentary telephone consultation, to answer your questions about vocational career planning and counseling. 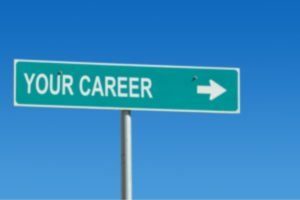 For an in-depth insight into changing careers, please go to this link by my own career mentor, Kirk Lamb, Ph.D. It is a wonderful E-book on changing careers and is now available to read without cost here on this Chandler Counseling & Consulting - St Cloud, MN website. We facilitate a process for taking your present career to a higher level or completely changing careers. This is typically a 3 session process. Your 1st Session is to comprehensively understand where you are at now in your current career, including the work you have done up to this point. As you share your career history with me, I will be asking you many open-ended questions to discover what you liked and didn't care for about each position you held. We will also talk about other interests you have had including hobbies or kinds of work that you have been curious about. Doing all of this gives me a comprehensive understanding of your career path up to this point and some ideas for possible new directions. For your 2nd session, we dig deeply into your Myers-Briggs® psychological personality type and your affinity towards various kinds of work. We do this by having you take the sophisticated Myers-Briggs® Step II, which is vastly more comprehensive and tailored than the more basic versions. Next, we evaluate the results from 2nd career assessment, the Strong Interest Inventory®. This assessment helps us to discover your psychological personality type as an affinity for doing over 100 different occupations. I interpret both the Myers-Briggs® and the Strong Interest Inventory® in light of your work history. The insights from those 2 assessments will be of value in your personal life as well as your work life. For your 3rd session, which may be your final career change session, our efforts will focus in on actual potential careers and jobs. A big component of this discussion will be the time and perhaps dollar costs of education and retraining. We also evaluate the marketplace, analyzing the availability of alternative career options, as well as the earning potential for making the transition into your new field. In addition, we might even look at the potential for you to transition into part-time or full-time self-employment. With some of my clients, the best opportunity was to continue on with their present job, to keep their cash flow stable, and build a low-cost, part-time business on the side. As that business successfully grew, the option to transition to full time would be there, or they could continue with both, based on their desire at that future time. If you wish to explore career consulting in St Cloud, MN, please contact us by text or phone at (320)223-9481 or by email - richardjchandlerconsulting@gmail.com Ask about scheduling a short no-cost phone consultation to answer your questions about our career reinvention roadmap. * Telephone or video conferencing sessions may be arranged. Although we do not accept insurance, our rates are very affordable. We have a sliding fee scale with reasonable minimums. * We Welcome & Affirm LGBTQ Clients.